This painting is untitled, however, the landscape appears to be of California's Palm Springs Desert area with a scattering of smoke trees and tumbleweeds. 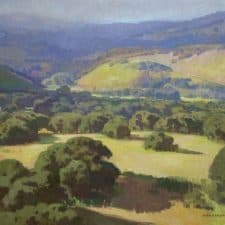 Bickerstaff primarily painted plein air scenes of California's pristine landscapes. The desert was among his favorite subjects. 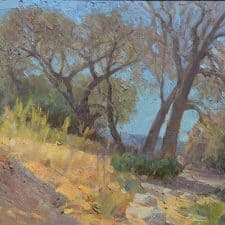 Landscape painter, George Bickerstaff (April 12, 1893, Marianna, Arkansas - July 12, 1954, Ukiah, California) was primarily a self-taught artist except for a brief period at the Art Institute of Chicago. 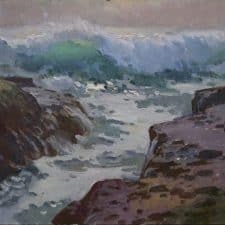 He led a peripatetic life before moving to California in 1922. 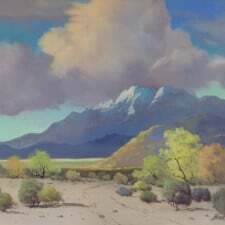 His early years were spent in San Diego, Los Angeles, and Van Nuys. 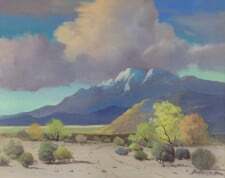 In the latter part of his life, Bickerstaff frequently exhibited with California landscape artist, Paul Lauritz. 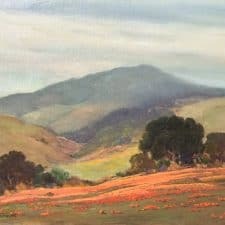 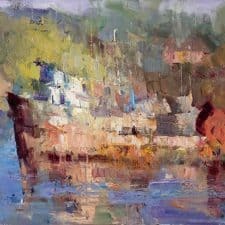 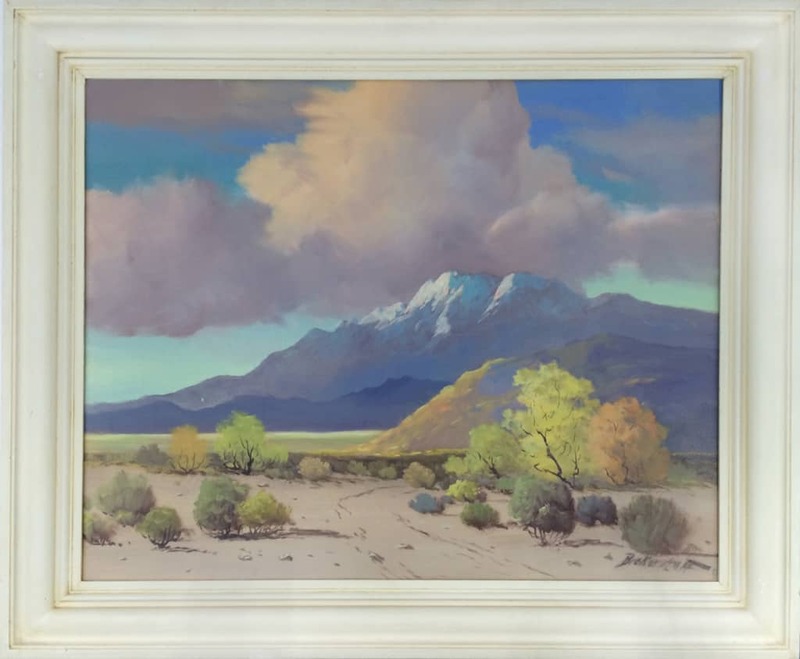 A prolific oil painter of mountain and desert scenes, his landscapes often include eucalyptus trees as well as California's rolling hills with fields of wildflowers. 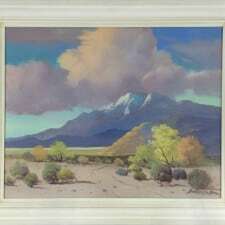 Occasionally, he painted seascapes, still lifes, and western and Indian genres. 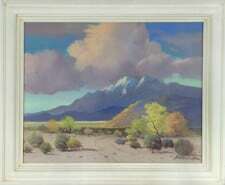 He was adept at promoting his own work and sold many paintings to hotels, hospitals, mortuaries, and rest homes.